By nature, I'm an eater and a food lover. I started watching Julia Child before I as was a teenager, and I've been in love with all things Food Network since. And I, along with the rest of the world, am in a constant battle to find the right balance between health and taste. Between pleasing a hungry farmer and a growing toddler, I'm forever in search of a few great recipes. I had this amazing bean and veggie salad/dip at a family reunion last year, and I've since made it at least three times. It's a huge hit. 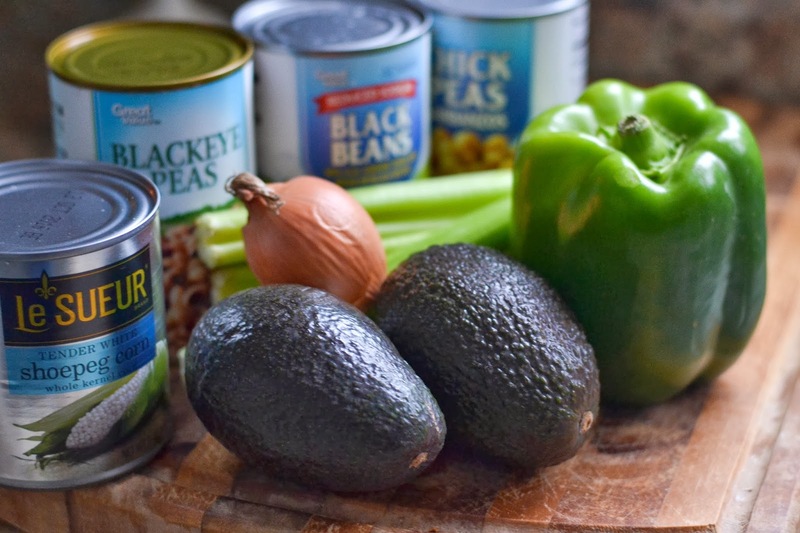 The ingredients are all healthy (minus the fact that the beans come from a can- but I always choose the low sodium varieties and rinse them really well), and the texture is just perfect. The dish holds up well in all temperatures, and seriously pleases the entire crowd. 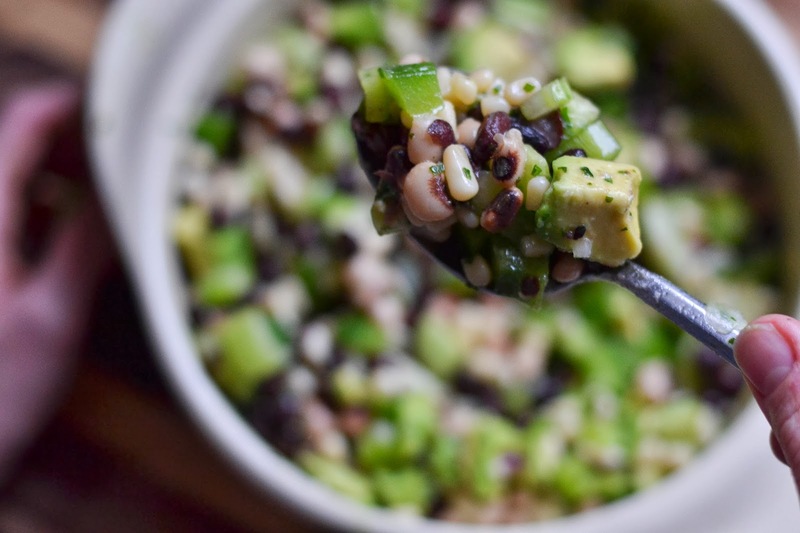 I had to share, in light of the recent Super Bowl festivities, because I'm always glad to have a healthy ready-to-go recipe in time for a crowd. Drain and rinse beans and corn, add to large bowl. Finely dice onion, celery, bell pepper and add to bowl. Mix vinaigrette: mix oil, vinegar, and lime juice, then whisk in honey until well mixed. Pour over bean/vegetable mixture. Add cilantro. Chill this mixture for at least an hour. 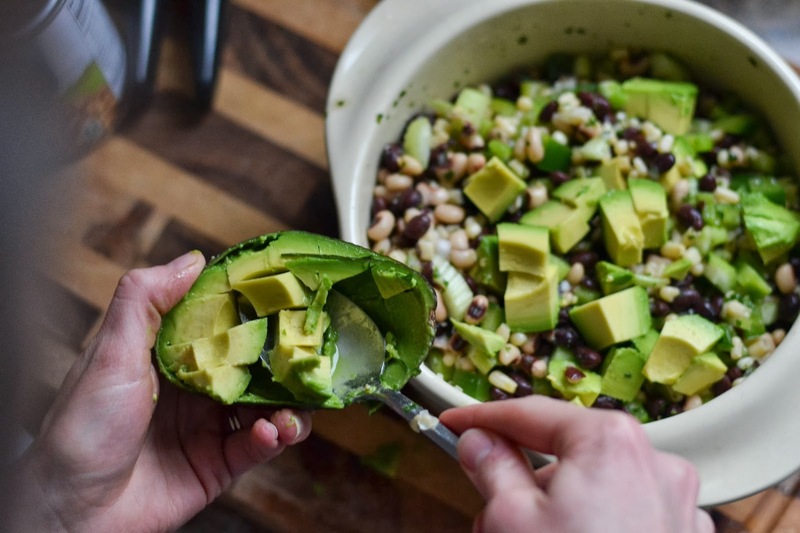 Add avocado just before serving. I must mention, though, that the acidity of this vinaigrette is just right, so the avocado doesn't turn brown, even 24 hours after making it! It's best chilled, but it can sit out for hours and and is still really tasty.